Arcade Hunters: Crossbow for the Atari 2600! Crossbow for the Atari 2600! 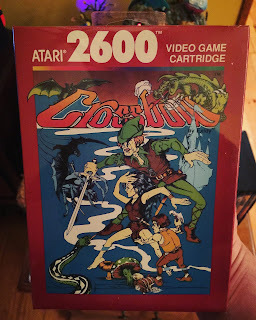 Here's a look at Crossbow on the Atari 2600. 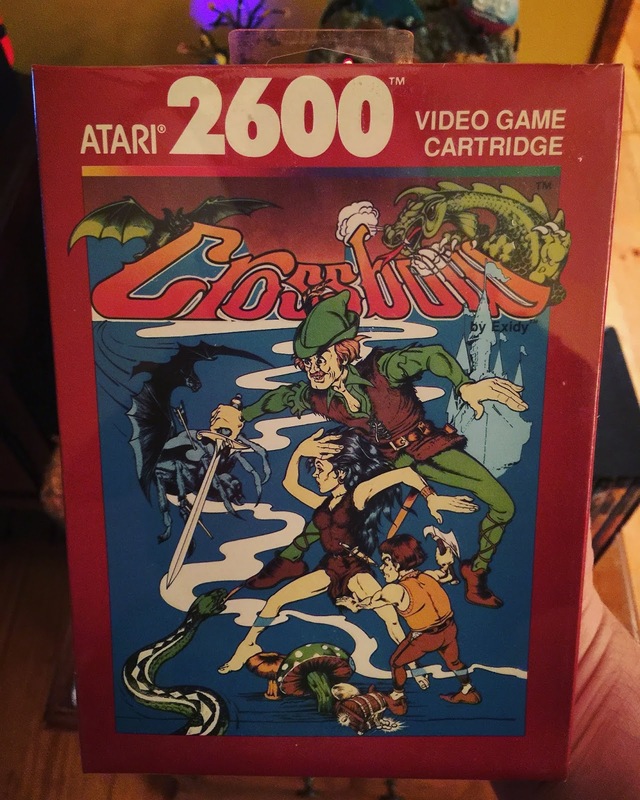 I still find it amazing that Atari decided to port Exidy's Crossbow over to the Atari 2600. Not just because of the Atari 2600's limitations, but also because the game is a light gun shooter! The fact that someone thought we could port this game and have it controlled by the Atari 2600 joystick is simply madness. The real crazy part is, the game is actually fun. Atari did a great job with the homeport of Crossbow, even if they had to cut a couple of stages. Check out the video below where we also compare the arcade version of Crossbow to the Atari 2600 version. Now some of you might be saying, why is this a Halloween game?!? Well, this game and myself have a long history together. This game use to scare the crap out of me on an almost weekly basis when I was around five. A local deli that my mom would stop at for cold cuts, eggs, milk, and any other random "I can't believe I forgot to grab this when I was at the supermarket" type items had a couple of arcade games, including Exidy's Crossbow. Each visit I would hear the sounds of utter horror that spilled out of the Crossbow cabinet while others played it. Some weeks I would venture over and climb up on the step stool to watch as helpless people were burned alive. This would frighten me, but also entice me to beg my mom for a quarter so that I can see what this game was about. I had to see if the game was truly as scary as it seemed. Well my first time ever playing Crossbow has been embedded in my memory forever. Right from the start, hearing a witchlike voice say "you will die" had me on edge. To further amp up my fears, I end up choosing the red path which takes you to the village stage. The village stage is pure nightmare fuel, the stuff kinder trauma is made of. You have ghosts, witches, demonic faces, monsters, and a devil that pop up, make horrific noises, and try to kill the heroes. If they succeed, you get treated to some horrific, digitized screams and groans. Well they succeeded, and I got the crap scared out of me. Now this didn't stop me from playing Crossbow. I continued to ask my mom for a quarter every time we stopped at this local deli. I would always go right for the red path to the village stage. Sure the frights and sounds would scare me, but I would also get a thrill out of trying to keep the people in my party alive. This thrill is what got me hooked on arcade gaming. The idea of overcoming a challenge, reaching a new level, beating a high score... this has stuck with me for over 30 years. 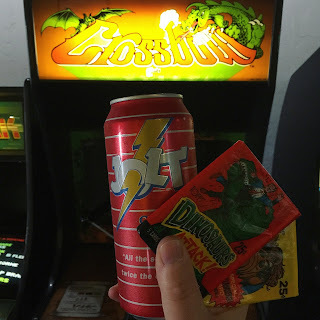 In fact, I just recently went to the American Classic Arcade Museum so that I could relive my kinder trauma in pure 80's glory. Can of Jolt, wax packs, and Crossbow. Sums up my perfect deli visit in the 80's!